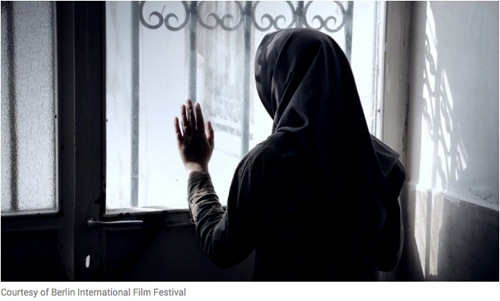 Award-winning Iranian director, producer, and screenwriter Mehrdad Oskouei shows us a specific take on the lives of some misguided Iranian teenage girls in this documentary. Their experiences seem similar to victimized teens in the Western world and perhaps that was the creator’s point. The girls, some with drug addicted parents unwilling to provide support and guidance to their kids, are incarcerated in a local rehabilitation detention center. Guilty of crimes ranging from parricide to car theft, many are victims of sexual and physical abuse at the hands of male relatives. Hopelessness leads many to a life on the streets, forcing them to sell and abuse drugs, such as crack and methamphetamines. Despite the oppressive aura surrounding the facility, Oskouei captures their innocence with scenes of the inmates playing spin the bottle, Truth or Dare and volleyball. Inmate, 651 recounts her story of how she arrived at the facility. She was caught with 651 grams of narcotics on her person, hence her name, 651. She gives a remorseful account of how she beat her mother for not providing her with drug money. Another inmate, Nobody, one of the more vocal inmates, shows Oskouei’s illustrations of a preferred version of herself. She used crayons to sketch images of herself sporting denim pants, a brightly colored shirt and blonde dyed hair, worlds apart from the black abaya and hijab that she currently fashions. But when asked when the person she draws can become a reality, she responds “society is bigger than me.” She tells Oskouei she wants peace, quiet, and music. “What about God?” she is asked. “I’m not speaking to Him,” Nobody replies. A few girls are runaways but all struggle with how they will be perceived and treated when they return to their homes. Some, however, will not be welcomed and will have to return to the streets. The short documentary concludes with a celebratory evening of Eid Al Fitr, the Islamic New Year. Some seemed to find solace in their current situation as they danced in celebration of the new year, alluding to the possibility of hopefulness to an otherwise sad situation.